A famous diagram in astronomy is the Hertzsprung-Russell diagram. 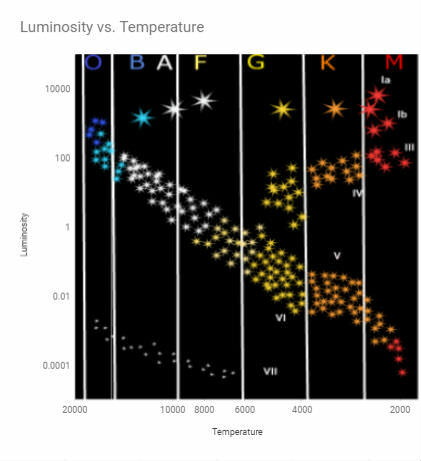 The diagram is a plot of luminosity against the temperature of the star. Our sun is a main sequence star of class G2V (yellow dwarf), which means it has a medium temperature and normal size.